Our kitchen calendar offers plenty of room for all your important events. The narrow size makes it perfect for any kitchen wall. 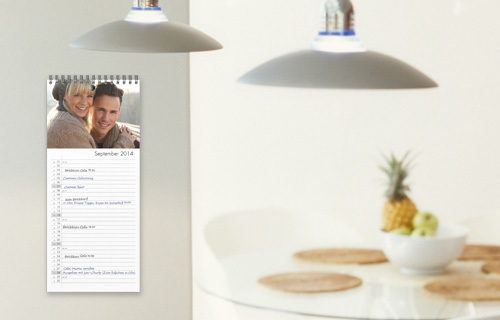 Simply choose from numerous layout variations to make your kitchen birthday calendar an individual work of art. Plus, you can choose the starting month to make this the perfect gift all year round.